The leadership transition at the Public Company Accounting Oversight Board has begun. Its new chairman and one new board member were sworn in yesterday, and one of the new chairman’s first acts was to name a new chief of staff. William Duhnke was sworn in as chairman, Kathleen Hamm as board member. Duhnke then named Francis “Abe” Dymond chief of staff. James Doty, the former chairman, formally retired from that position this week, as did board members Lew Ferguson and Steven Harris. 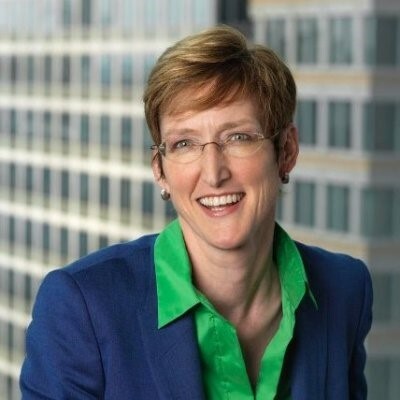 Departing board member Jeanette Franzel will stay on the job a while longer, until the other new PCAOB members — Robert Brown, James Kaiser, and Duane DesParte — formally take office in the near future. We should also note that Dymond, the new chief of staff, was previously Franzel’s special counsel. He has been with the PCAOB since 2012, and prior to that was assistant general counsel and assistant director for auditing at the Government Accountability Office (the federal government’s de facto internal audit department). Hamm, meanwhile, Hamm comes to the PCAOB from Promontory Financial Group, a well-connected consulting firm that serves as a hangout for numerous ex-financial regulators. (IBM acquired Promontory in 2016.) At Promontory, Hamm was the global leader of securities and fintech services and senior strategic adviser to the chief executive officer on cyber solutions. Hamm served at the U.S. Treasury Department from 2014 to early 2017 as counselor to the deputy secretary, spearheading Treasury’s development of a domestic and international cybersecurity strategy and related policy initiatives for banks and other financial firms. Hamm’s experience will also come in handy as the PCAOB grapples with how audit firms should audit cybersecurity in their clients, and how the firms themselves should use auditing technology more effectively. Those were priorities in the PCAOB’s inspection plans for this year. My question: how Duhnke & Co. may revisit audits of internal control over financial reporting, as required under Section 404(b) of the Sarbanes-Oxley Act. SOX compliance is a top target of Duhnke’s boss, SEC chairman James Clayton, as well as plenty of other people in the Trump Administration and Congress. It’s unclear that Congress will revisit SOX compliance this year, given the innumerable other public policy dumpster fires burning around Washington these days. That leaves Clayton an opportunity to revisit SOX compliance standards administratively. One way to do that would be to bring in new leadership at the PCAOB (done), and that leadership could then change course on ICFR auditing standards. 2018 is only two days old, after all. We shall see.